After watching Andrew Scrivani on Creative Live, teach Tabletop Photography, I decided to work on my little "studio" in the basement. Andrew talked about ways to use inexpensive items to create lighting setups for tabletop and still life photography. Although I didn't follow the instructions exactly, I did start piecing together a setup. 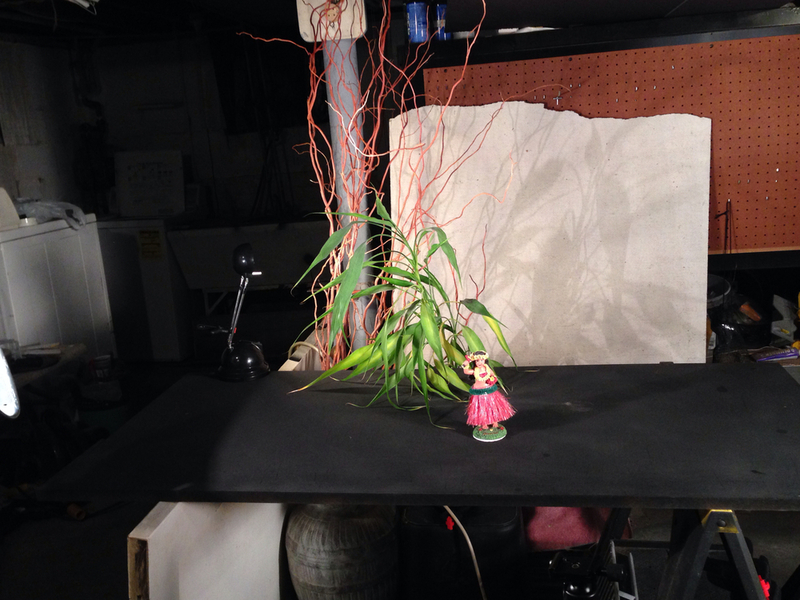 My first shoot was a small still life with a dashboard hula girl.